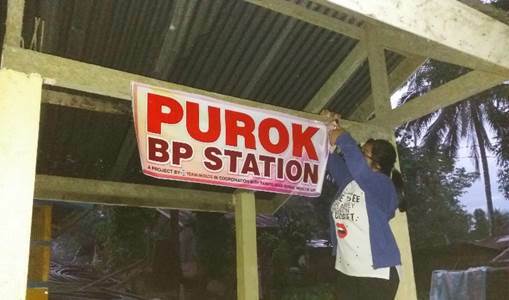 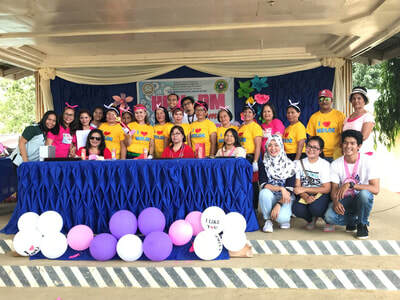 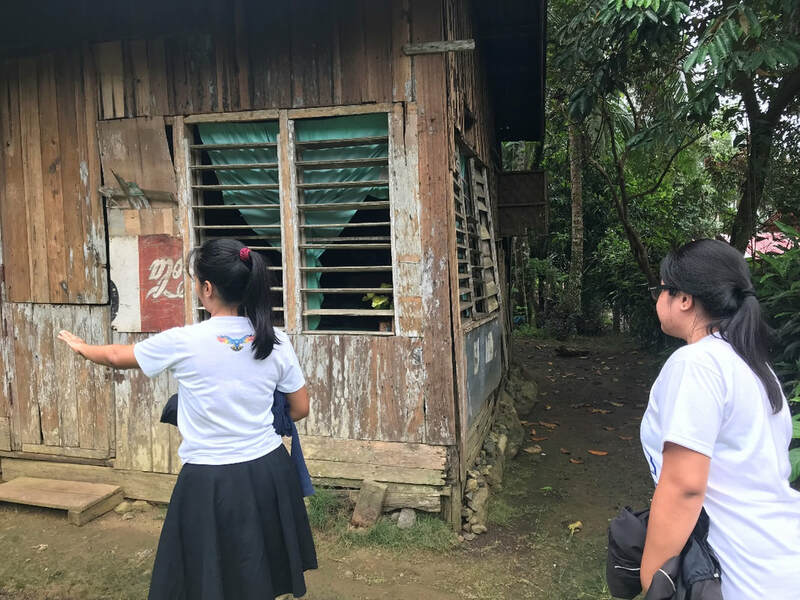 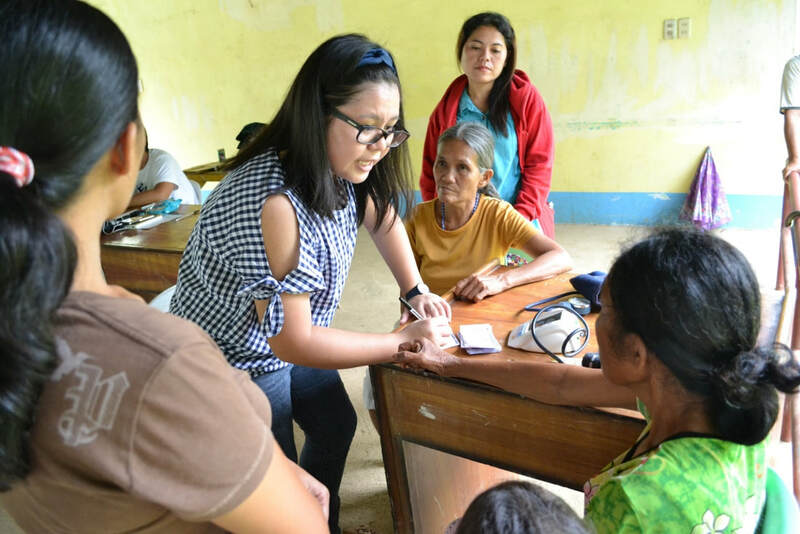 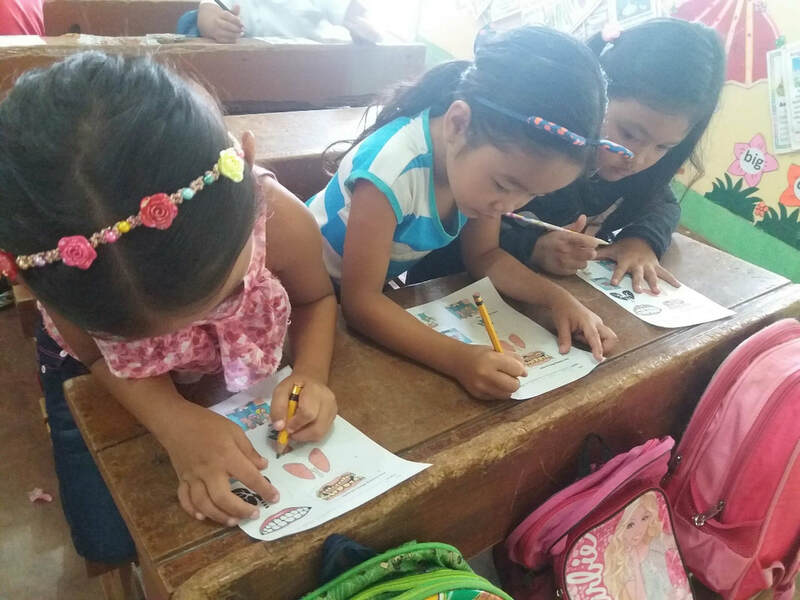 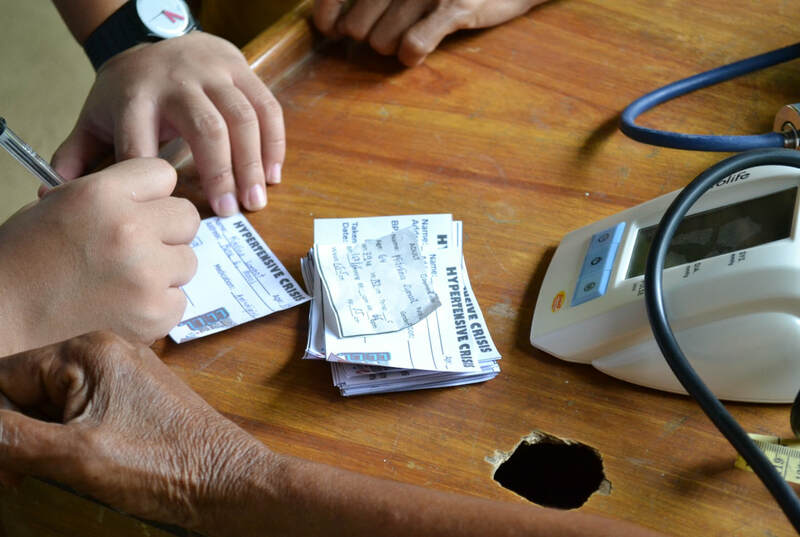 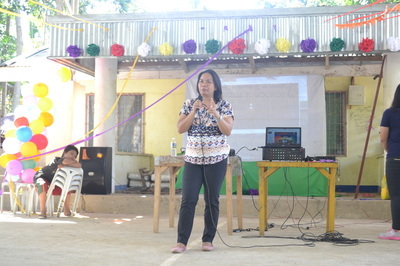 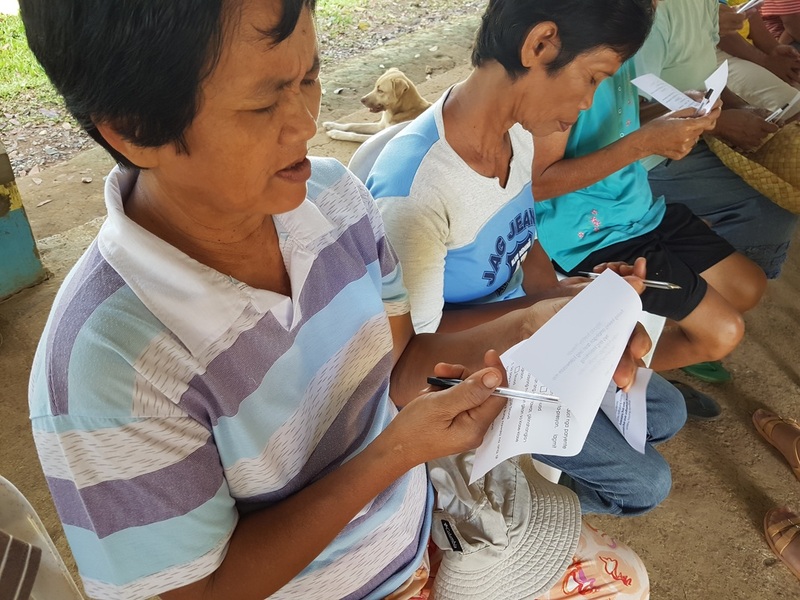 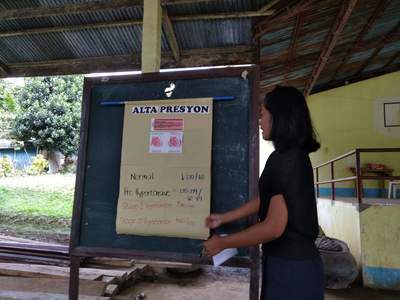 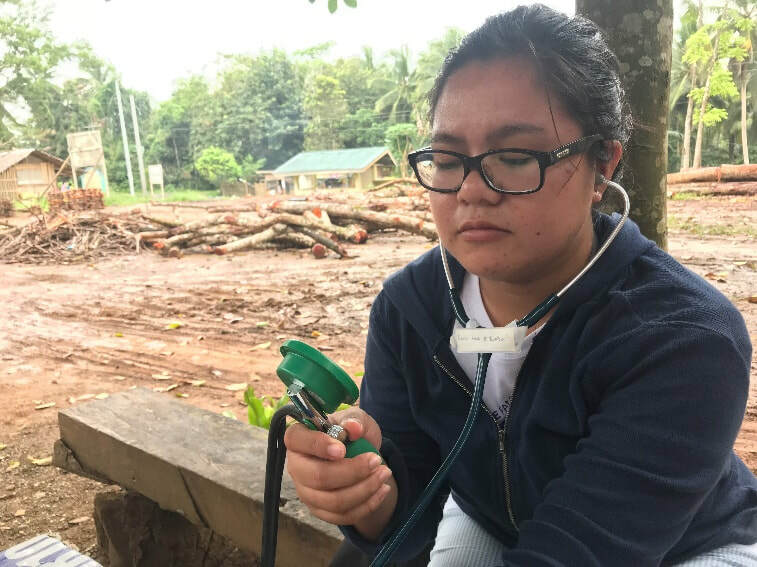 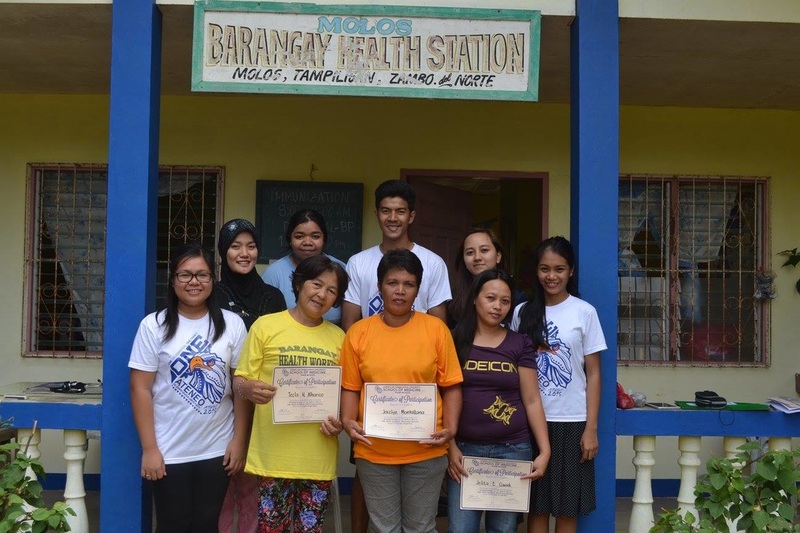 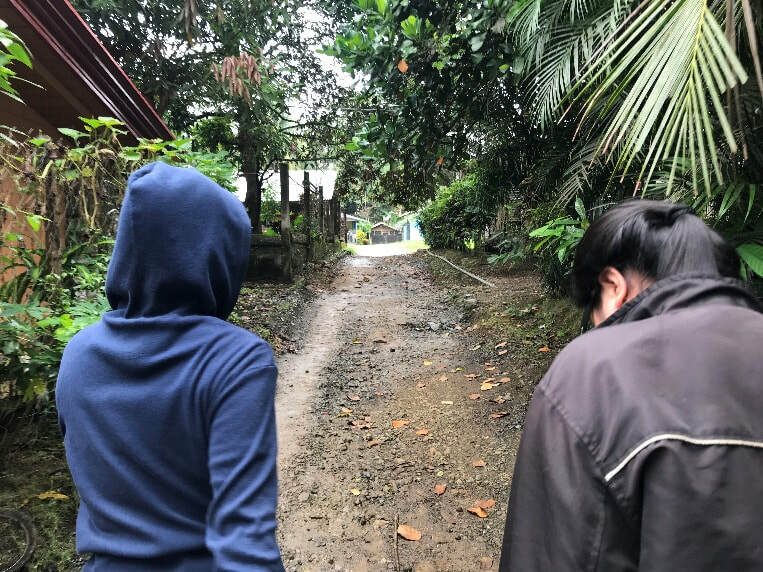 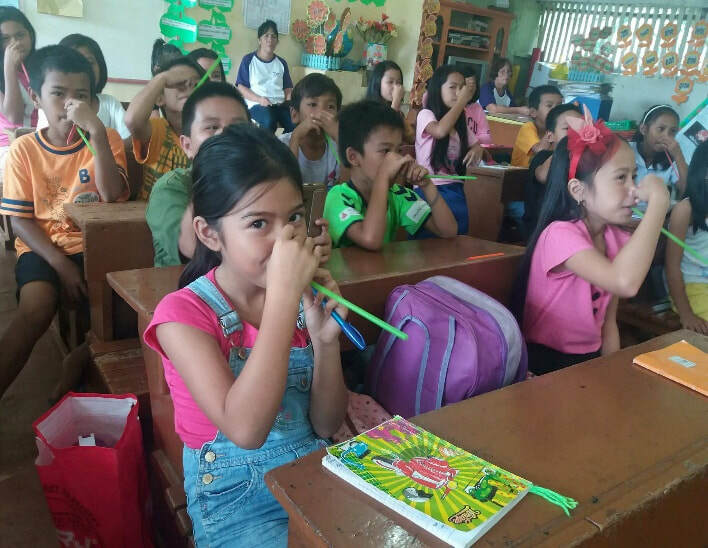 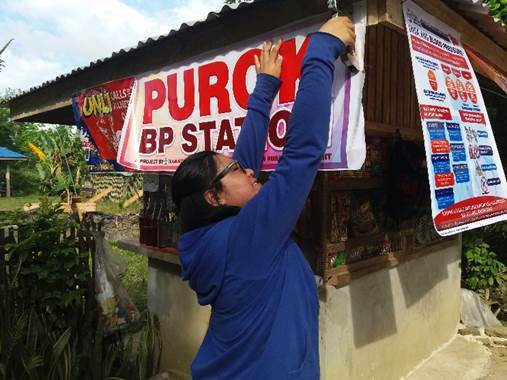 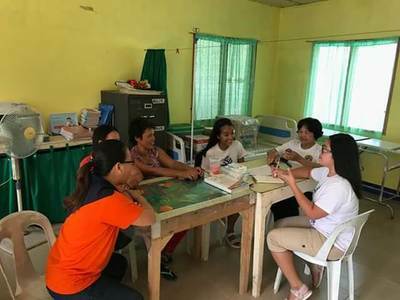 The high number of individuals with hypertension in Barangay Molos that were detected during the mass BP taking and apparently unaware of this, emphasized the need for better screening and assessment at the barangay level. 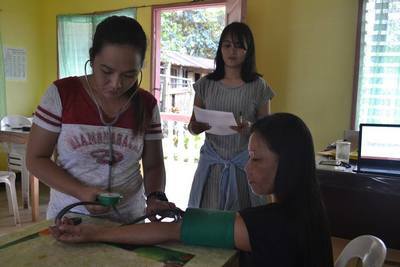 To accomplish this, the first line healthcare workers, the barangay health workers must be equipped to take blood pressure readings. 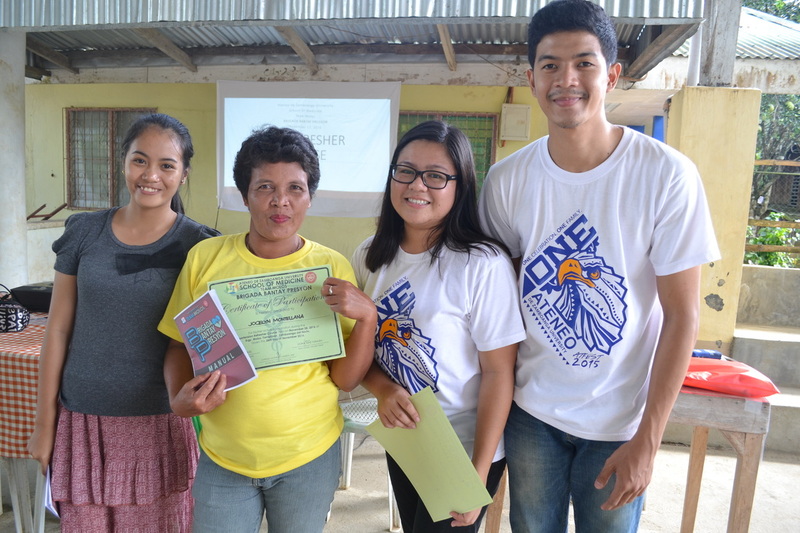 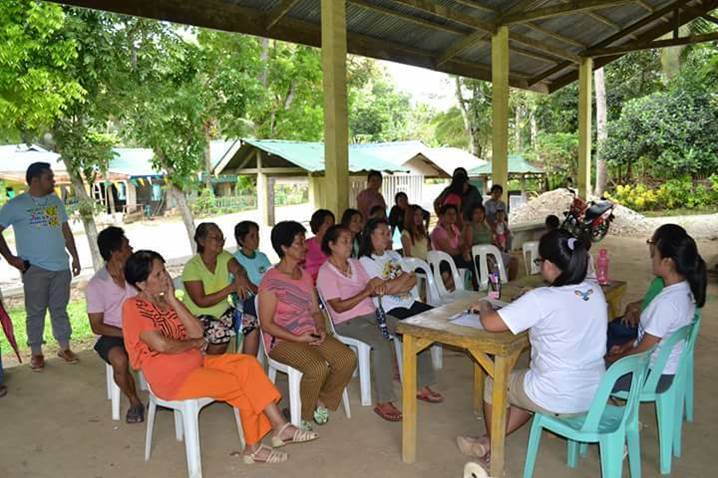 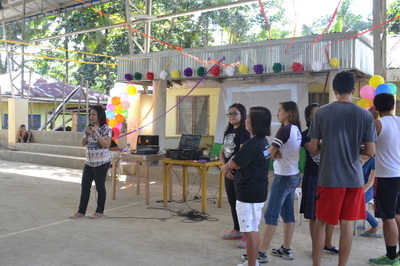 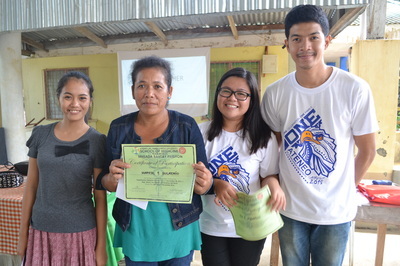 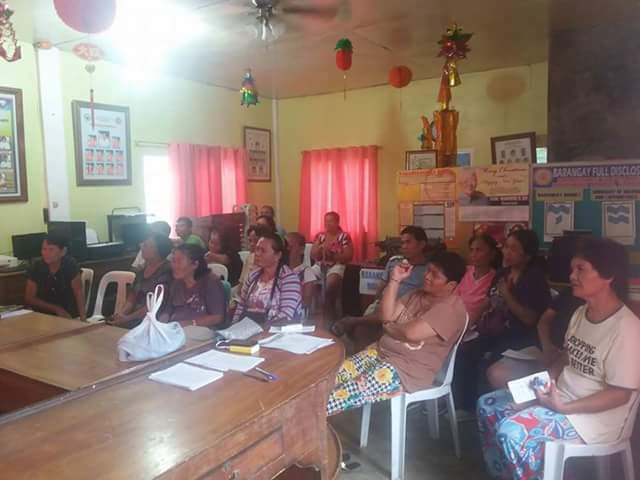 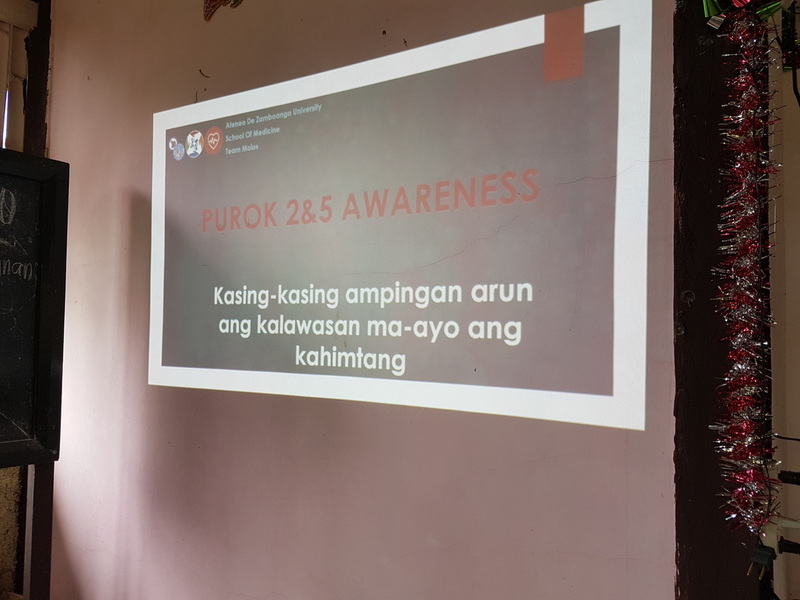 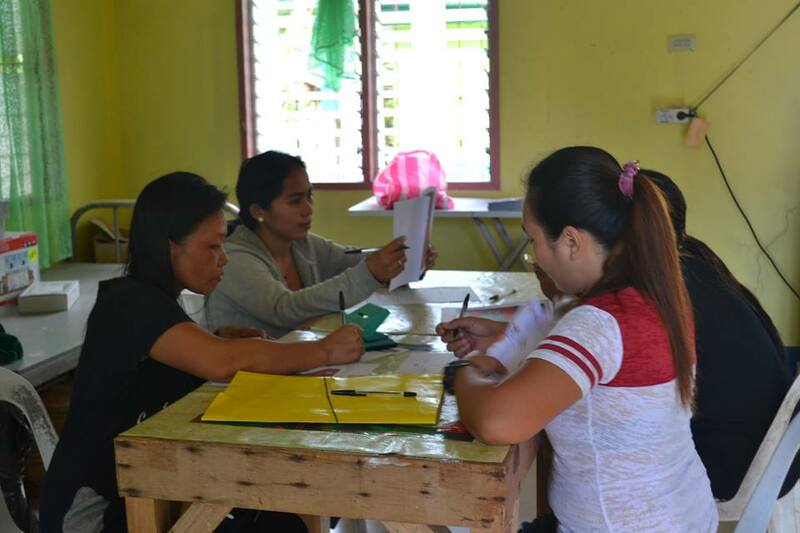 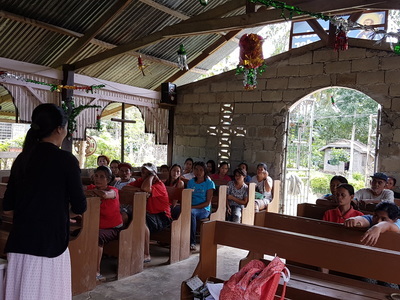 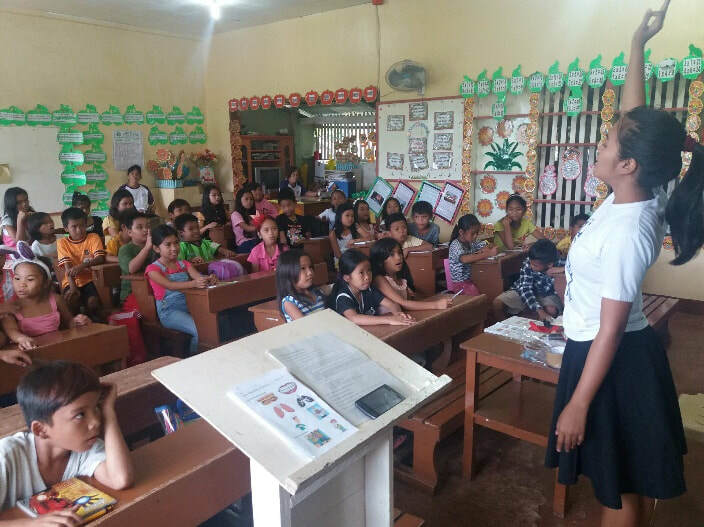 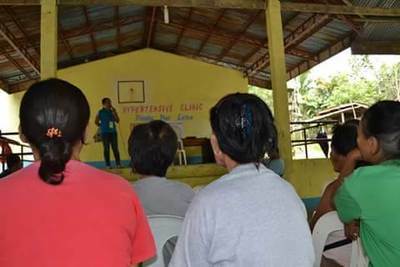 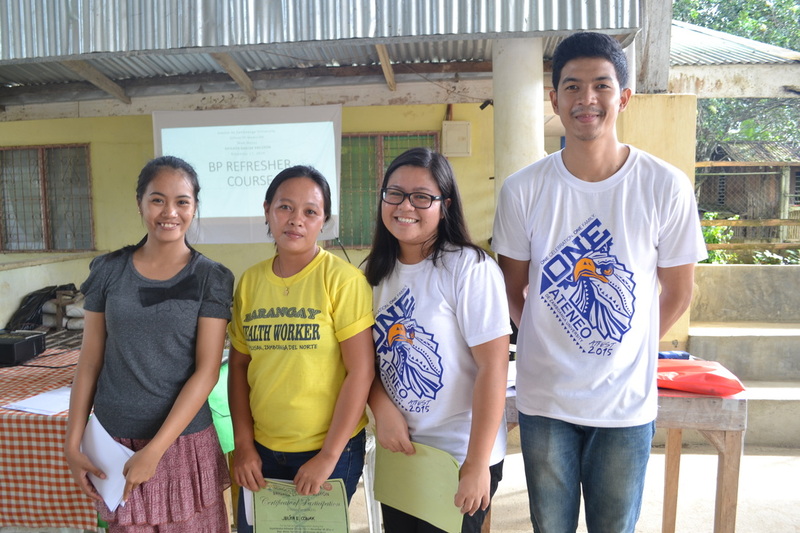 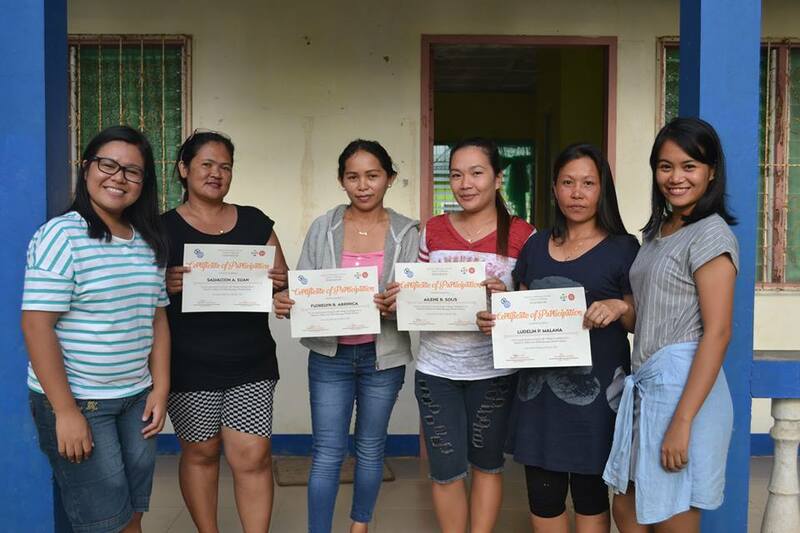 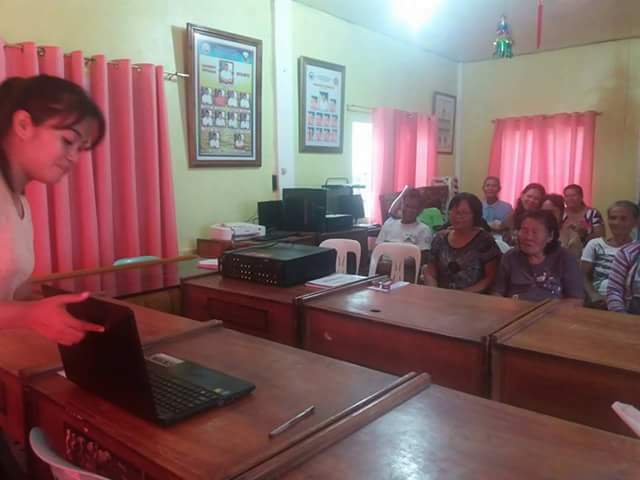 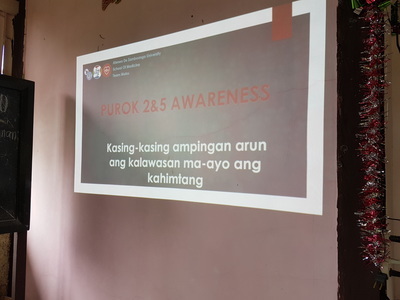 Due to this, a BP Taking Training was held for the BHWs which was attended by three out of the five BHWs in Barangay Molos. The training comprised of pre- and post-tests, lecture and demonstration of the proper BP taking protocol followed by a return demonstration of the participants. 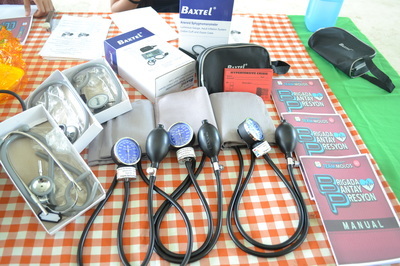 The BHWs were active participants and had a lot of questions regarding hypertension and BP taking procedures. 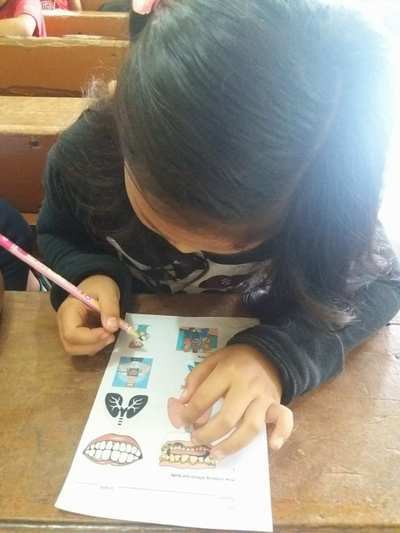 And although hesitant at first, they were excited to hear the Korotkoff sounds and when they got the right BP reading. The result of the post-test and return demonstration were also promising due to their high scores. 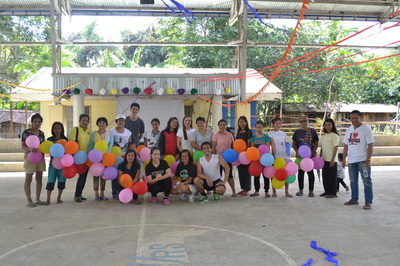 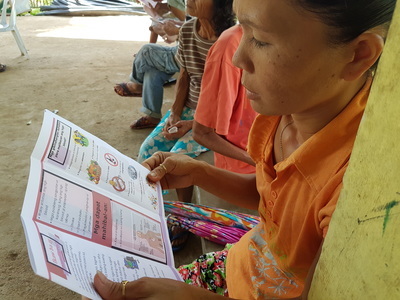 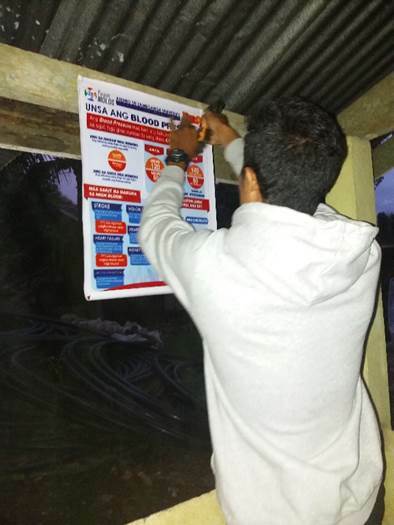 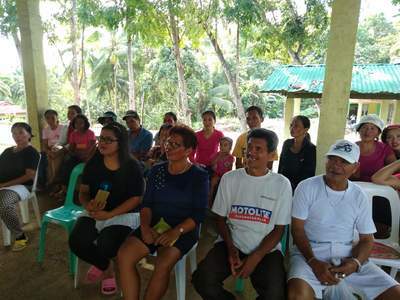 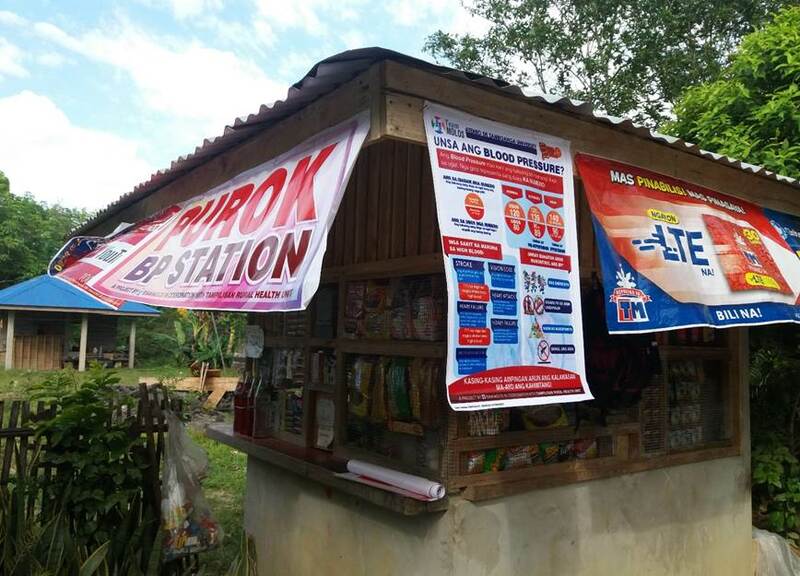 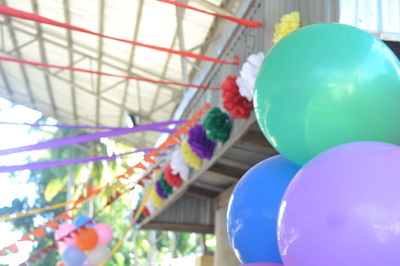 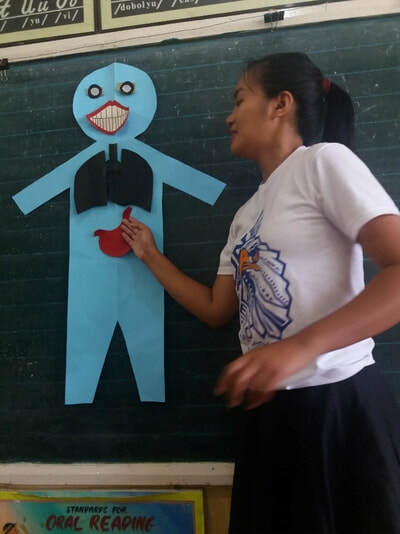 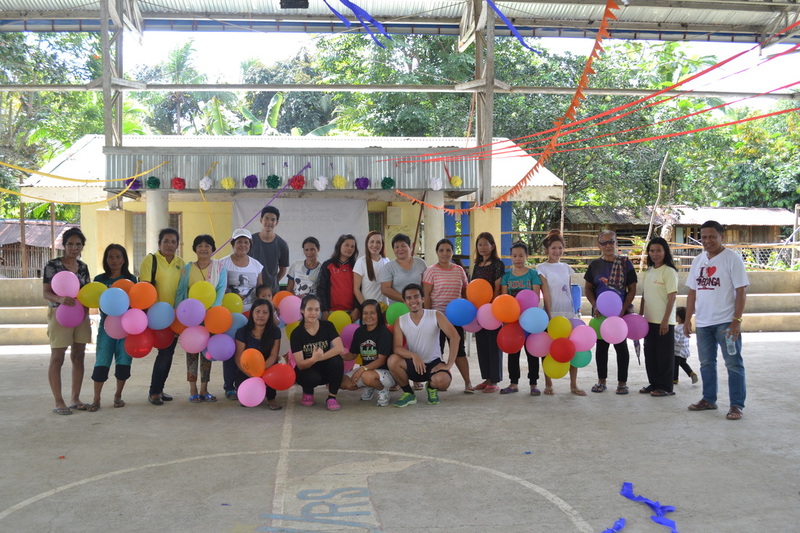 With the eagerness of the BHWs to be fully equipped to cater to the needs of their clients, the campaign to control hypertension in Barangay Molos, Tampilisan, Zamboanga del Norte is truly under way! 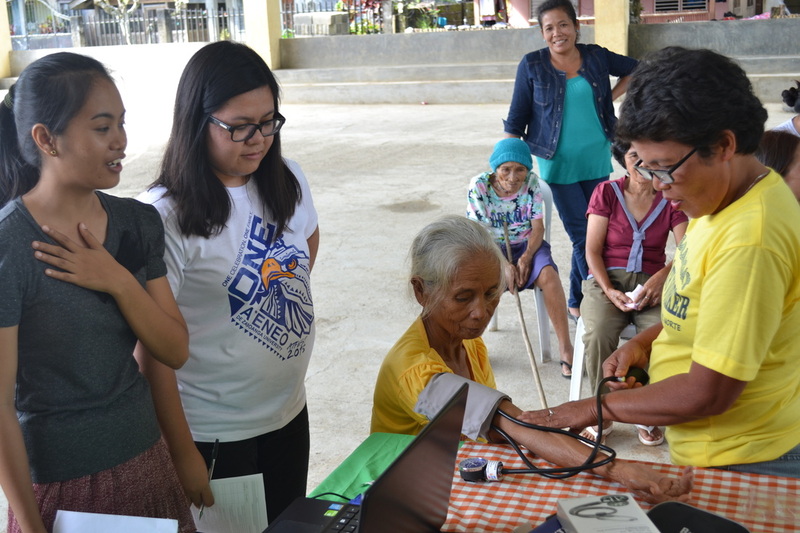 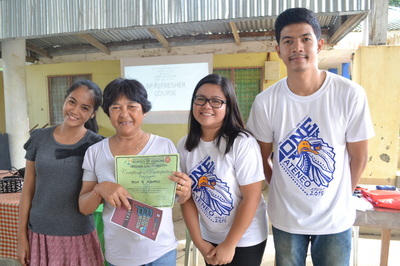 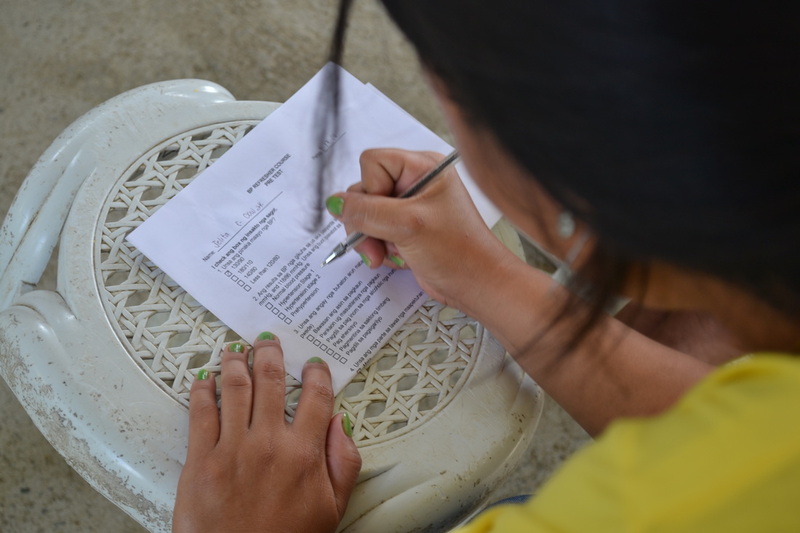 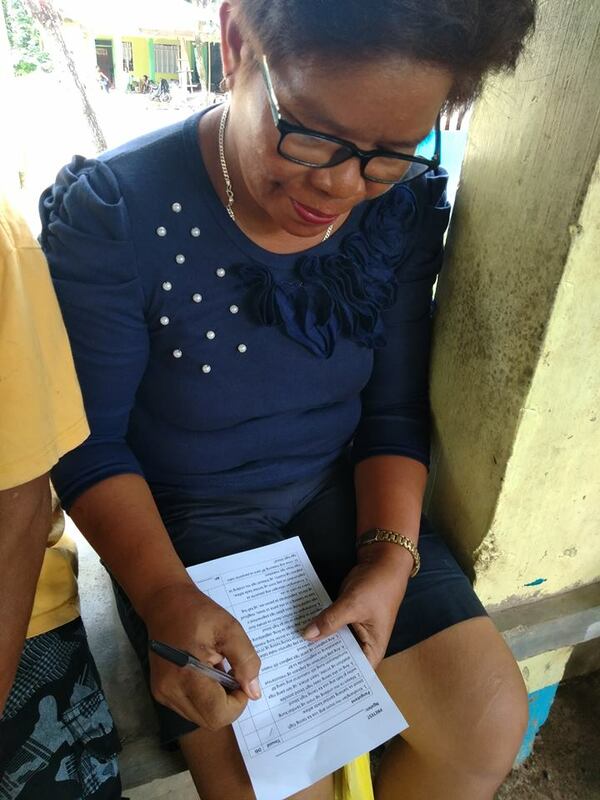 For one week during our House to house survey, we took the Blood pressure of readings of residents and assessed their risk factors for developing cardiovascular diseases using the DOH Non-Communicable Disease (NCD) Assessment tool. 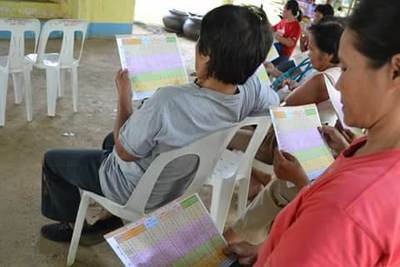 The assessment tool included information on familial diseases like hypertension, stroke, diabetes, and others as well as an individual’s smoking and alcohol habits and lifestyle, and blood pressure and BMI. 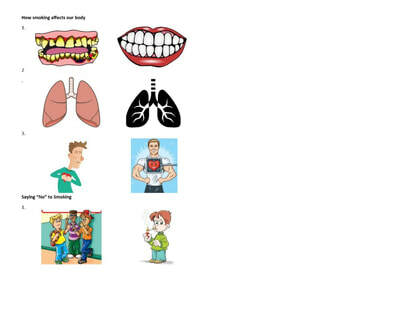 If an individual has no or low risk, then he is commended for his healthy behavior and told to continue. But if there is moderate to high risk, an individual is given the proper health teaching and if necessary referred to the Municipal doctor. Individuals with systolic blood pressure readings 140 and above and diastolic blood pressure readings 90 and above were asked to take a second BP reading after a week and were referred to the Rural Health Unit to be diagnosed by the municipal doctor and enrolled into the Hypertension program. 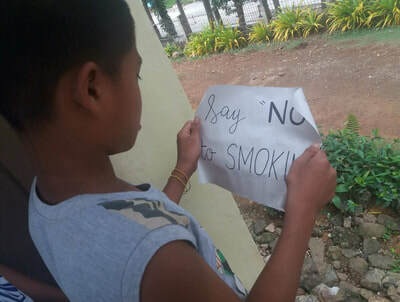 They were also encouraged to stop smoking and alcohol and to have less salt and fat diet. 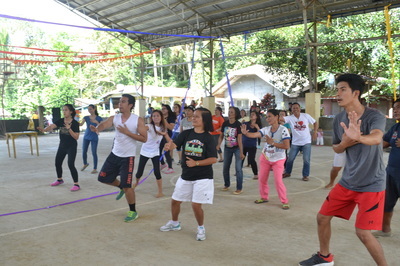 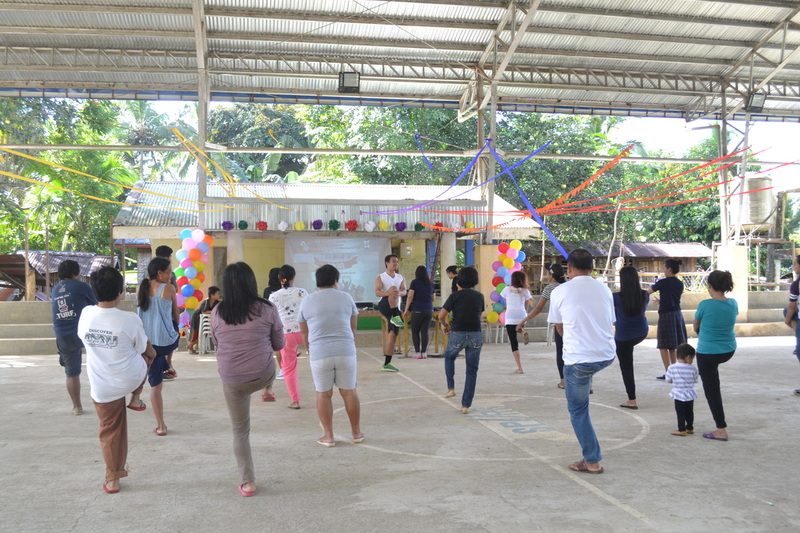 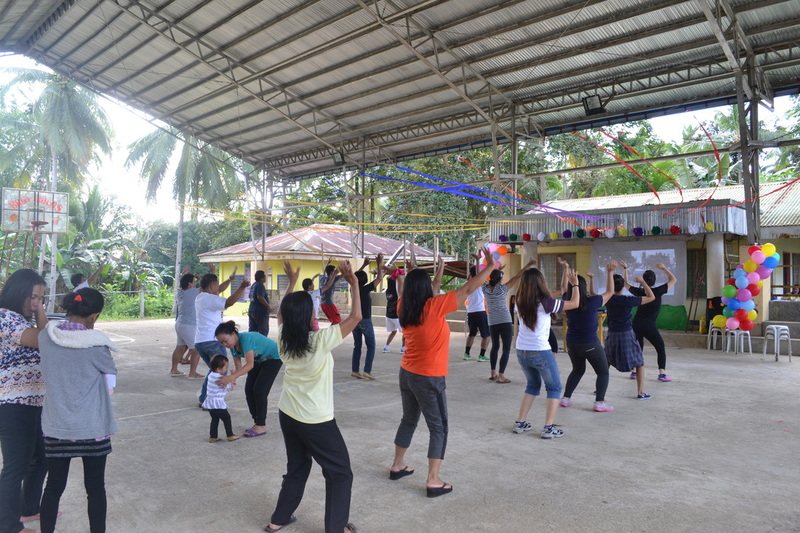 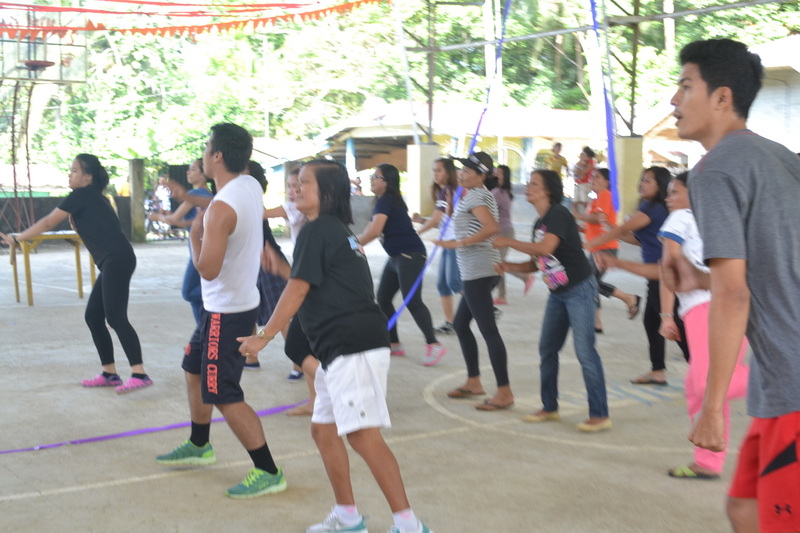 Exercise was also emphasized during the health teachings. 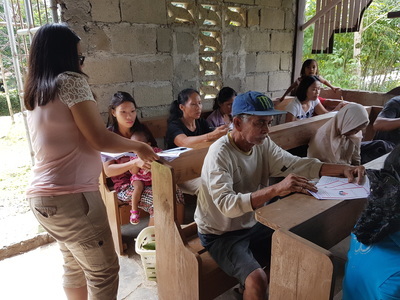 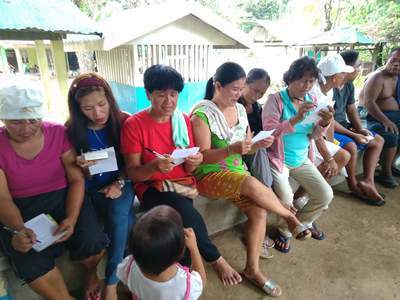 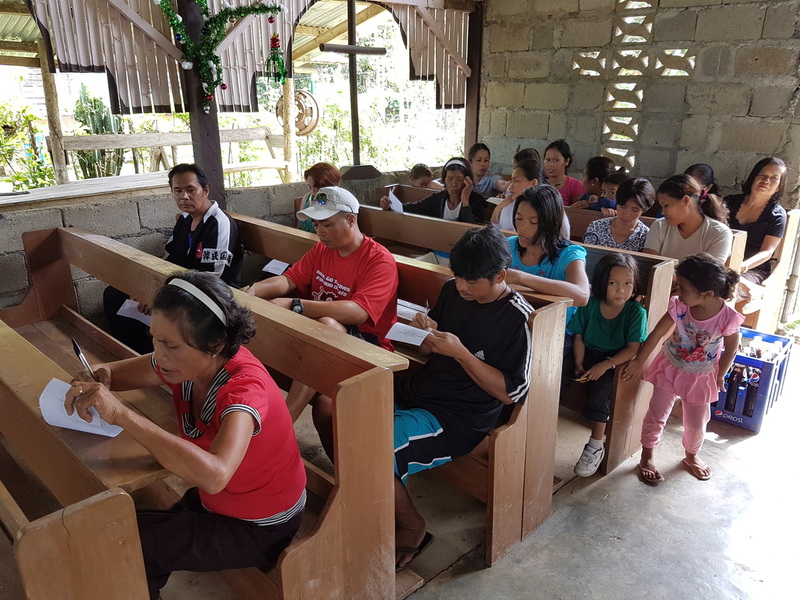 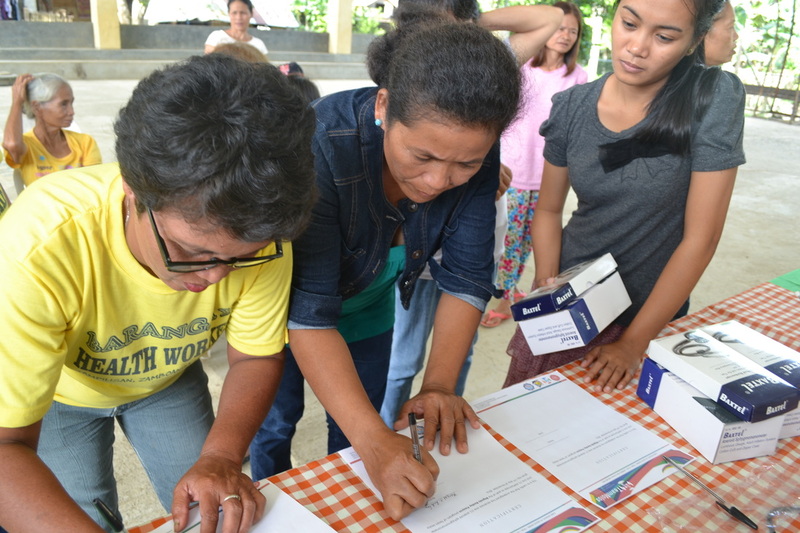 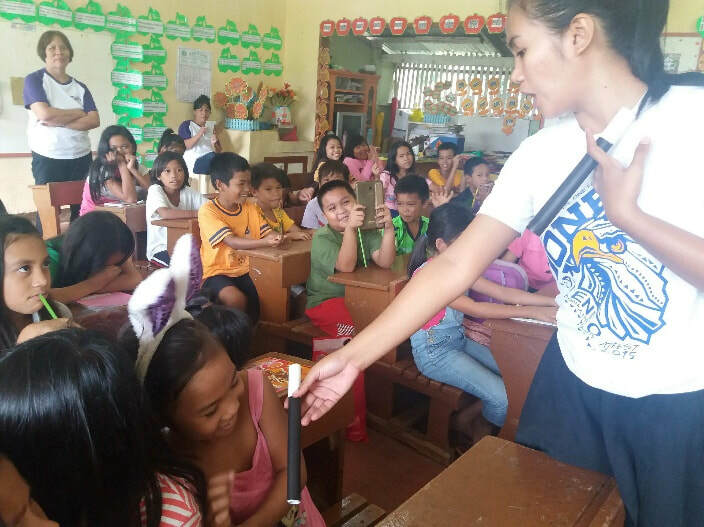 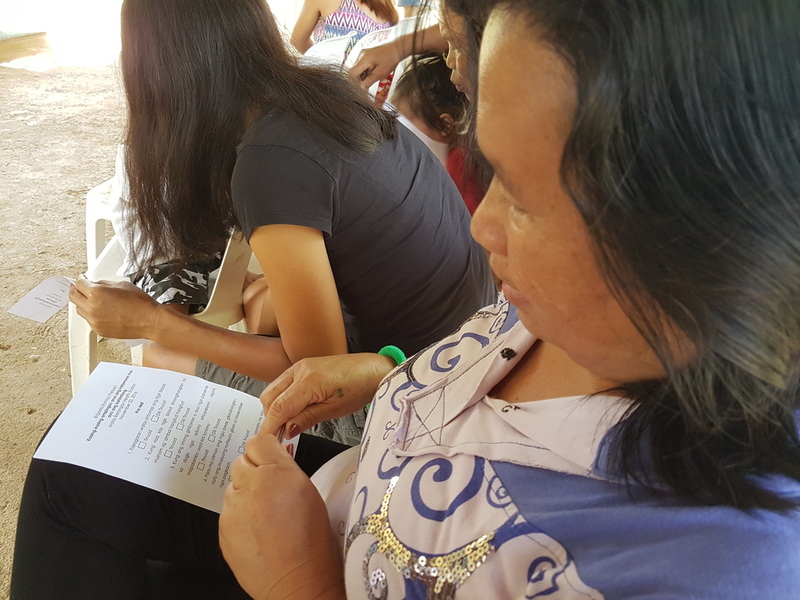 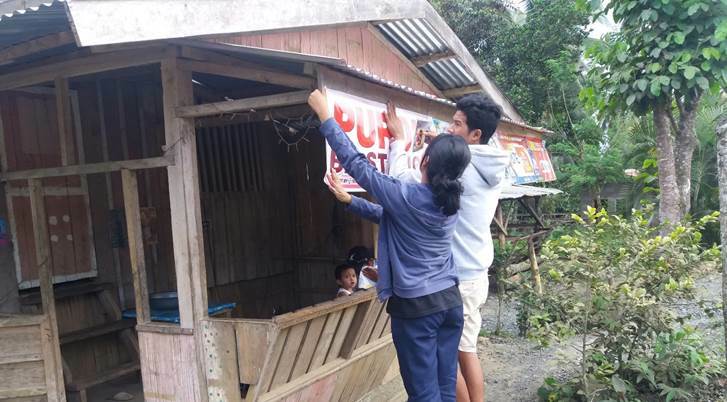 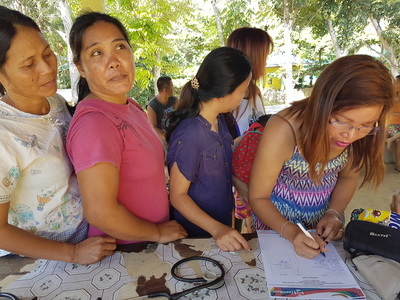 People with a family history of diabetes and symptoms of polyphagia, polydipsia and polyuria were recommended to take a blood glucose test using the glucometer of the barangay health station. 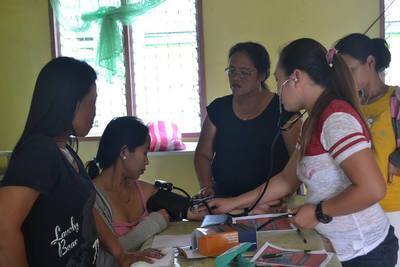 Individuals with elevated RBS were then referred to the RHU for proper treatment. By the end of the mass taking and the second BP taking, 66.2% of the surveyed individuals were normal, 16.7% were pre-hypertensive, 16% had stage 1 hypertension and 12/3% had stage 2 hypertension. 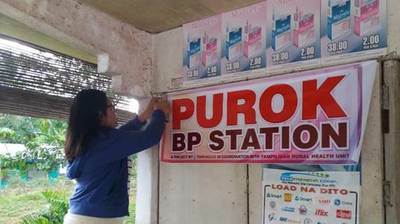 This is an alarmingly high percentage of the population with high blood pressure. 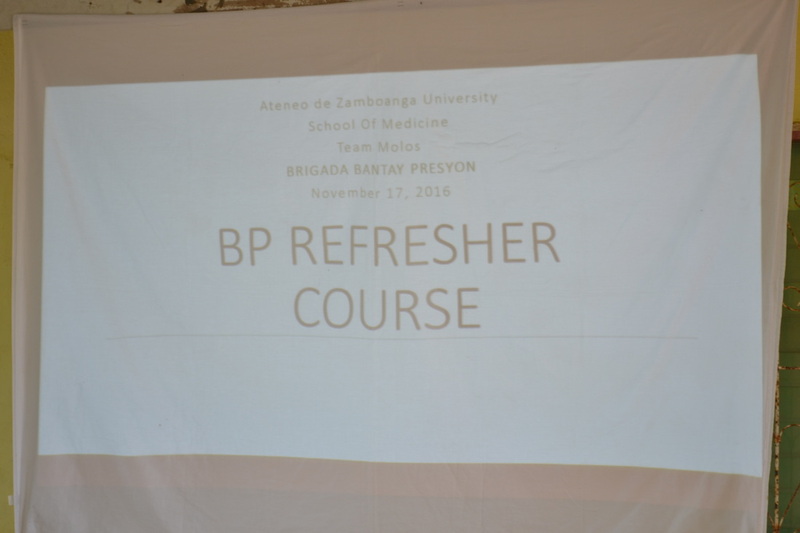 The next step will be to intensify the enrollment program and to make sure that diagnosed hypertensives are compliant to medication. 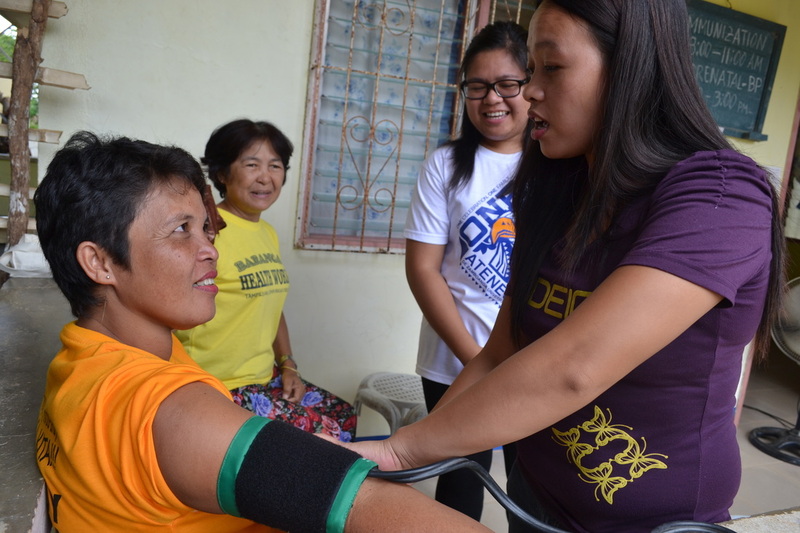 Household education aims to increase the knowledge and support of the family members of hypertensive patients. 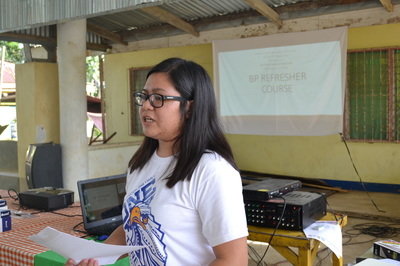 The goal was to inform the family members of the danger and consequences of uncontrolled hypertension. 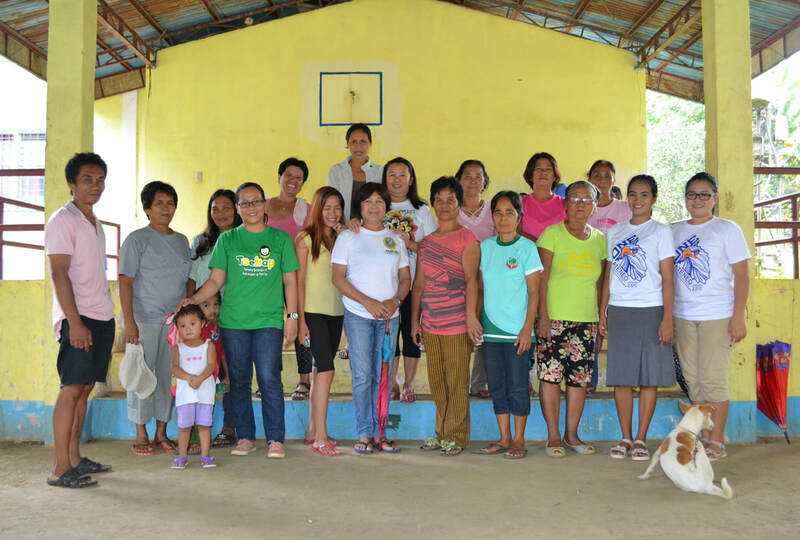 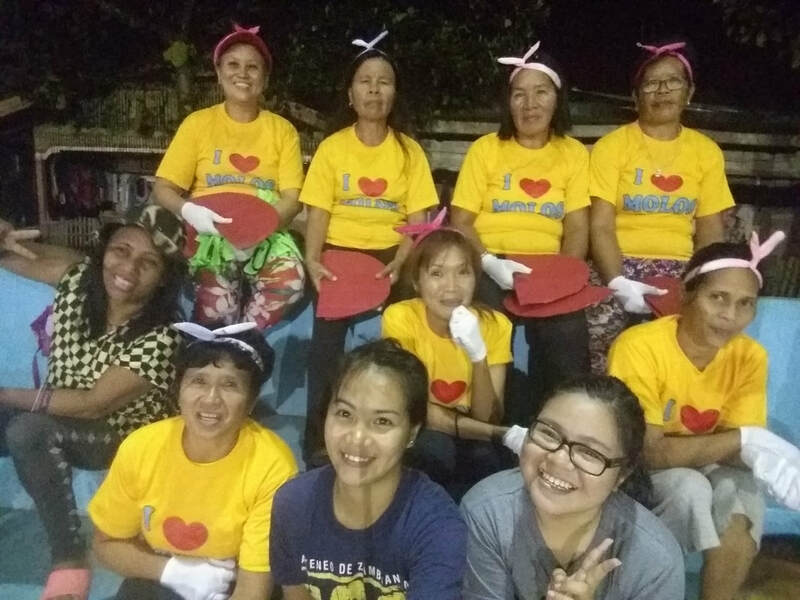 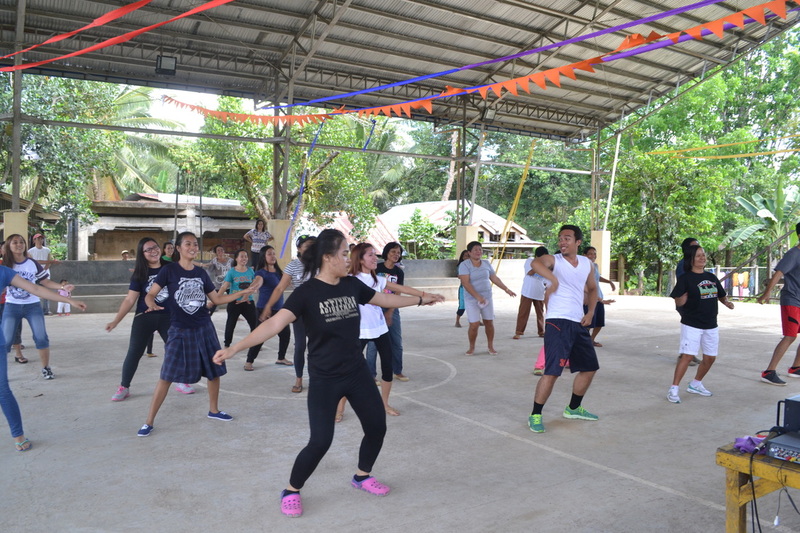 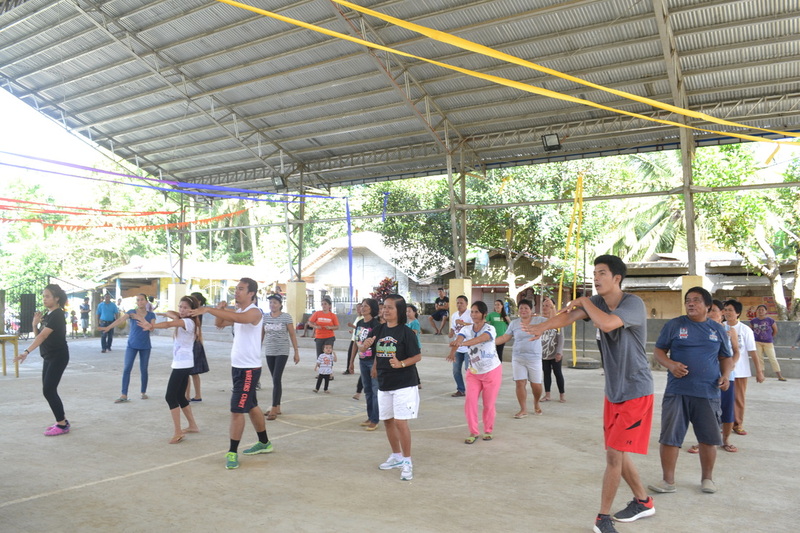 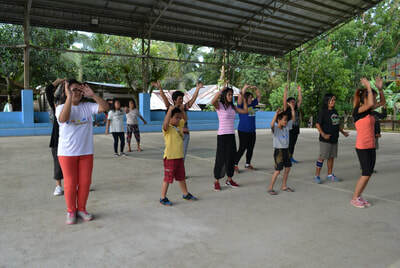 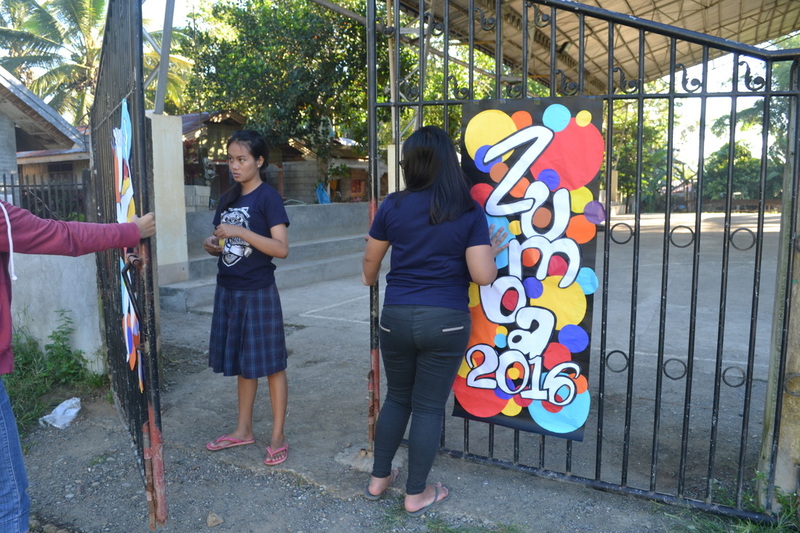 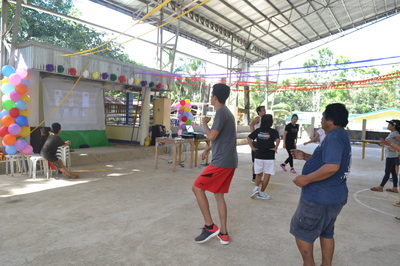 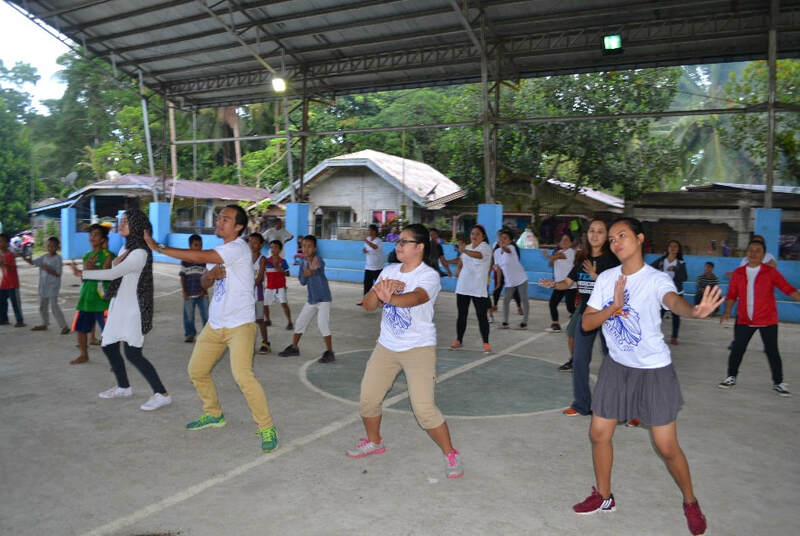 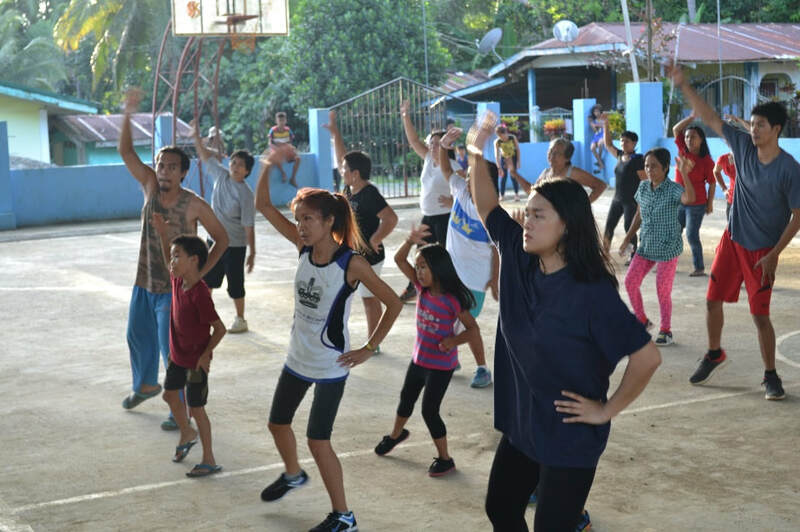 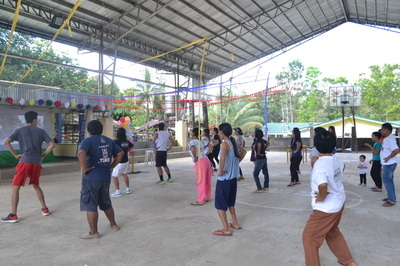 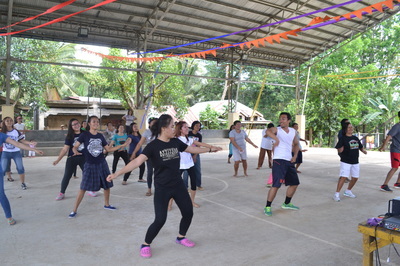 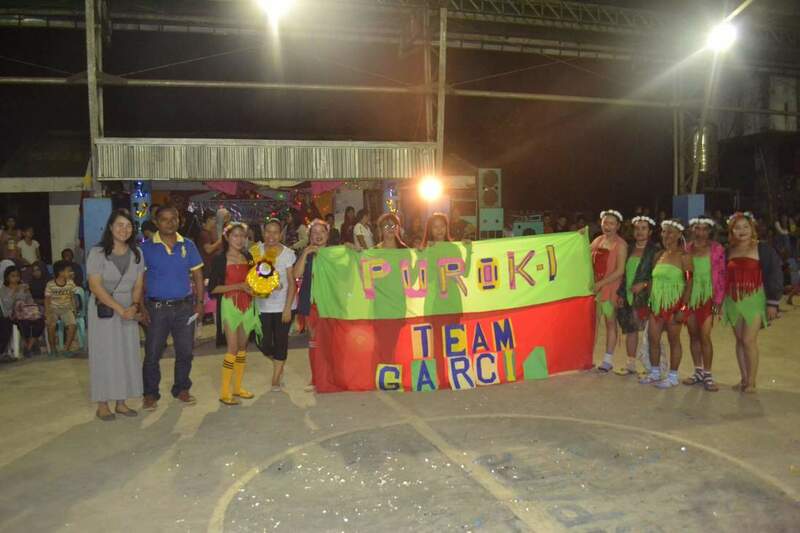 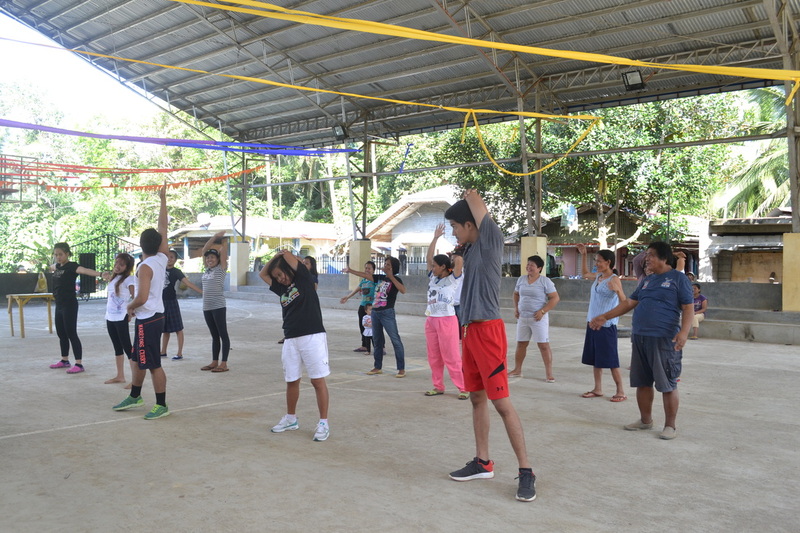 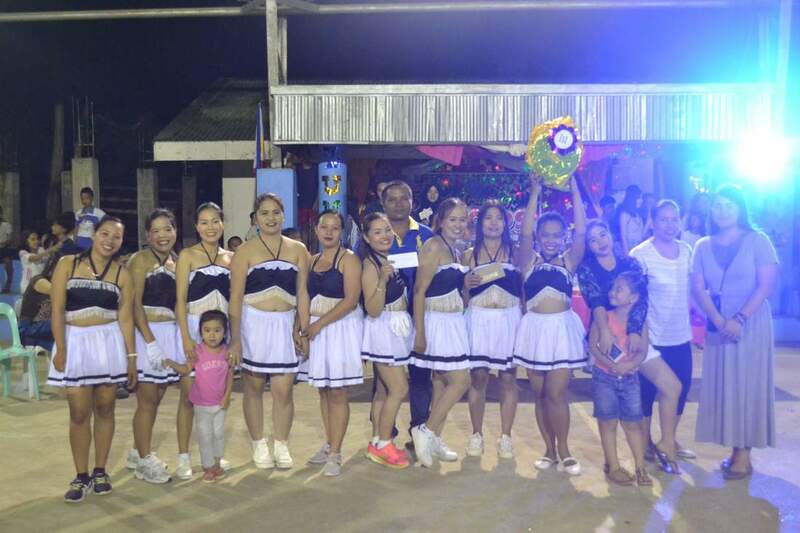 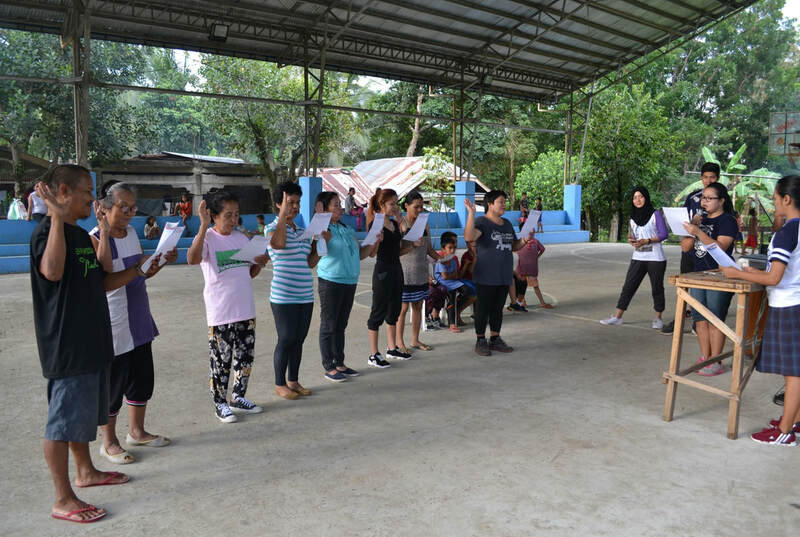 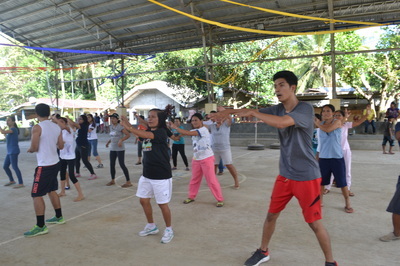 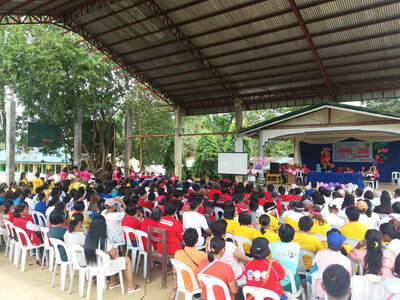 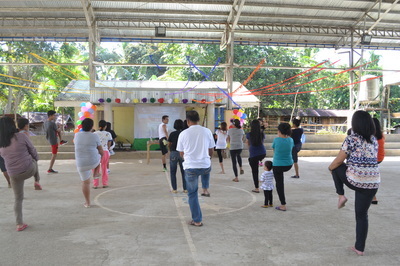 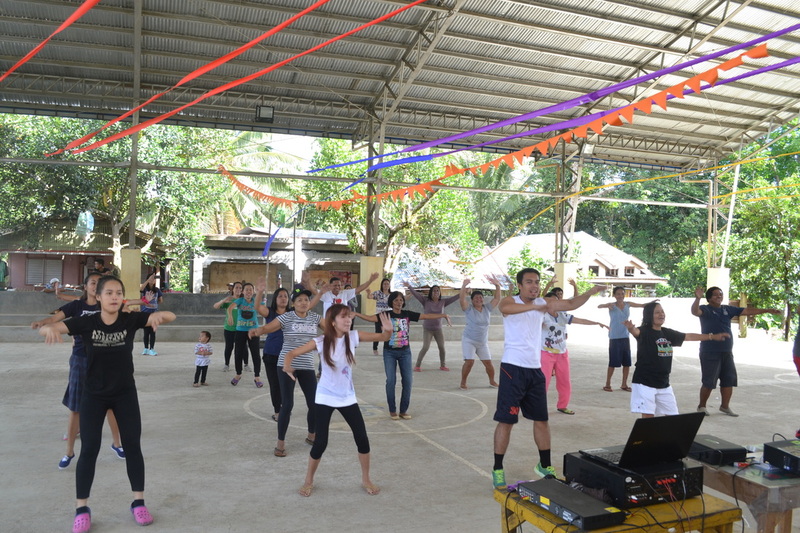 ​March 3, 2018 in coordination with Barangay Council Zumba Contest was done where 57 individuals participated. The said event encourage the community to be physically active.